Yesterday’s news that Microsoft will acquire Nokia for $7.2 billion is probably good news for both Microsoft and Nokia, and also for small businesses. Naysayers – and there are a lot of them – use words like it’s “too little too late” and that Nokia “can’t save” Microsoft. For instance, industry observer Vivek Wadhwa sees lots of problems on the horizon for Microsoft. He says the answer is for Microsoft to break itself up into nimbler pieces. Others, such as Business Insider’s Henry Blodget, see it as a “smart move” but one not likely to be successful because it’s too much of a Hail Mary pass, in his opinion. If it works, it can win the game. But chances are high it won’t work, for a variety of reasons. For example, he notes that the big party in the mobile space has been tablets, but that Nokia has a nonexistent tablet offering. Microsoft, on the other hand, has tablet offerings, but they have been high priced and slow to catch on. For businesses that are Windows shops, having a range of Windows smartphones and tablets is an attractive thing. It provides a real alternative for businesses. Apple and Google’s Android dominate the consumer mobile devices market today. It would be a hard row to hoe, to try to gain substantial market share there. But for business users … by combining forces Nokia and Microsoft have the potential for a stronger offering for the business market. Businesses need that. For business users, there’s real benefit to being able to use a phone and tablet that integrate seamlessly with your desktop or laptop computers. It’s efficient. It puts less burden on businesses that use Windows. There’s less of a learning curve. When a device makes it easier to conduct business, then small businesses and enterprises have a real reason to choose a Windows smartphone or a Windows tablet. That’s especially true with tablets. Until recently there was somewhat of a void in the marketplace. Yes, iPads and Android tablets are fun. But for business users they have limited business value. If my own Google Nexus tablet is any example, it tends to get used mainly for entertainment and occasionally on business trips when I have to write something longer than an email with two or three sentences. It’s not very functional when it comes to the heavy lifting of business work I do. My little 4-year old netbook computer is unpleasant to use for entertainment purposes, but far more useful than my tablet when it comes to real work, despite being old and slow. Consequently, I often carry both on business trips — one for watching movies and catching up on email and social media, and the other for real work. Some think that Microsoft’s acquisition of Nokia is as much about tablets as smartphones. It gives Microsoft access to hardware technology and access to Nokia’s distribution network. To date, Microsoft has had limited success with tablets. After the market failed to positively receive its stripped down Windows RT tablet, Microsoft reduced the price. Its Surface tablet with full Windows 8 was better received, but pricey and so Microsoft also dropped the price of the Surface tablet. Yes, Microsoft was slow to the tablet and smartphone party. But there really is a place for good Windows phones and good Windows tablets in the business world. Those that prefer a unified operating system across all their devices were essentially out of luck before Windows tablets and phones. They were forced to pick one of the big industry leaders, Google or Apple, for the operating systems on their mobile devices instead. Now they could have more options, if the Microsoft – Nokia acquisition is successful. For the sake of business users, we hope this acquisition will lead to more mobile device choices. The new iOS 10 by Apple (NASDAQ:AAPL) has been described by the company as its biggest release yet, and as an operating system with more personal, powerful and playful features. The good thing for small business owners is that the new features would seem to drastically enhance the way you can run your business on your iPhone or iPad. Whether you are using the new iPhone 7 or many of the previous versions also supported by iOS 10, there are some new features that will make you more productive, the company says. Here are 10 features small business owners can start experimenting with right away with iOS 10. With smartphones and tablets now inexorably linked to the way we do business, and the threat of digital security also an inevitable part of this ecosystem, it is extremely important to have a comprehensive privacy and advance security solution in place. The privacy features in iOS 10 now require your permission if an app in Calendar, Contacts, Reminders, Photos or others wants your location information or personal data. These features extend with even more control to the way in which HealthKit and HomeKit access your data. Your conversations in iMessages and FaceTime are encrypted, so hackers waiting in the middle of a conversation won’t be able to see, hear or read what you are communicating. And when you are on Safari surfing the web, you can browse privately, block cookies, and prevent websites from tracking you. The security, according to Apple, is the most advanced security of any mobile operating system. The new features help secure your personal protection with hardware and firmware that have been designed to protect against malware and viruses throughout the entire system. The device is protected with Touch ID and the apps have high-grade encryption, app transport security, and more. When you are on a smartphone or tablet the last thing you want is lackluster performance from your device. Since iOS has been engineered specifically for the iPhone and iPad with a framework the company calls Metal, it is able to maximize graphic performance whether you are videoconferencing, accessing applications from the cloud, viewing a PowerPoint presentation, moving from app to app or playing the most complex 3D video game after a hard day of work. The new OS has been designed to take advantage of the progress that has taken place in software intelligence. This includes Apple-developed machine-learning technology, which has also been incorporated into Siri. The result is a more intuitive system that makes everything you do with your device easier and faster. Proactive suggestion, and predictive typing have been combined with Siri for a personal assistant that will answer many of your questions and take your requests by speaking naturally. Siri now works with your favorite apps, so you can request a ride, send payments using Square Cash, book a reservation through OpenTable, and more. Even if your business is mobile first, there are multiple computing devices that are part of the total technological solutions in place in your company. This generally means laptops and desktops both at the office and at home. In order to ensure continuity across all devices, iCloud and iOS automatically connect many of Apple’s products. You can start a task on the iPad and finish it on your Mac and stream video from your iPhone or iPad to your television through Apple TV. Everything gets synced automatically, so any time you add a new document, image or video the latest version will appear on all your devices. You now work outside of the office just as much as you do inside, and this means sharing large files that far exceed the limitations of email servers. AirDrop is a feature that lets you send large files wirelessly no matter where you are, so you won’t have to go back to the office when you are on location. The continuity feature extends to an application called Handoff which lets you write an email and hand it off to Mail, Safari, Pages, Numbers, Keynote, Maps, Messages, Reminders, Calendar, Contacts, Notes, Podcasts, Clock, and News. When you are ready to text you can send messages from any of your devices, receive it on your iPhone and reply on your iPad or Mac. You can choose a number from Safari, Contacts or Calendar to quickly send a text message. We live in a very connected world, and even the smallest of businesses now interacts with people in many countries around the world. This means multiple languages, and the multilingual typing feature lets you type in two languages at the same time without having to switch keyboards. The OS recognizes English, French, German, Italian, Portuguese and Spanish pairs, as well as Chinese. As a small business owner on the go, you can sometimes use your car as your second office. CarPlay makes it possible to safely and easily use your iPhone to make calls, send and receive messages, get directions and more so you can focus on your driving. It puts the functions you want to use on the built-in display of the vehicle so you can control them with your voice, touch or the knobs and controls of the car. Currently CarPlay is available on more than 100 automobile models, with more on the way. Free WiFi is so tempting but if you are not 100 percent sure it is secure, you can easily fall victim to an attack. Unsecured WiFi Network Warning makes recommendations when you connect your iOS device to an unsecured network. The new rich Notifications feature lets you quickly view videos, photos and reply. All it takes is tapping on the notification to launch the app or force press with the new feature rich 3D Touch to popup a preview. It also lets you clear the notification and delete emails from the expanded notification. Although Apple is notorious for protecting its intellectual property, the company has been coming around after witnessing the great benefits of what APIs have accomplished for other companies. 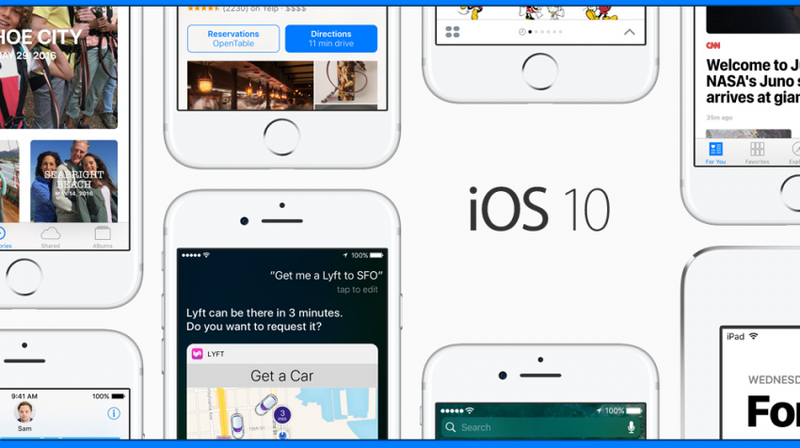 The Apple iOS 10 SDK has new APIs and services that now contain its more popular applications, including Messages, Siri, and Maps. Developers will now be able to create innovative functionalities using Apple’s platform creating more business models for small developers. The new iOS 10 is compatible with: iPhone 7 and 7 Plus; iPhone 6s, 6s Plus, 6, 6 Plus; iPhone SE; iPhone 5s, 5c, 5; iPad Pro 12.9-inch and 9.7-inch; iPad Air 2; iPad Air; iPad 4th generation; iPad mini 4; iPad mini 3; iPad mini 2; and iPod touch 6th generation. Apple has also made it much easier to move to iOS on your Android device. You can download the Move to iOS app on your Android device from any Android app store, and it supports all phones and tablets running Android 4.0 and later. You can get more information from Apple here. If you want to upgrade to iOS 10 here‘s where you can do it. 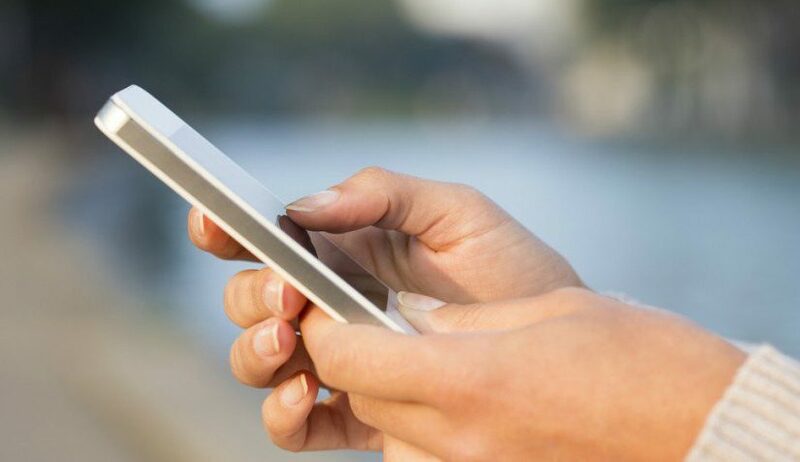 Being mobile is an absolute essential for small business entrepreneurs who need the flexibility to run their businesses from just about anywhere. This flexibility can come easily if your business deals with virtual services, like consulting. But if your company provides a physical sales product, you can’t escape the need to track inventory. Enterprise-level inventory tracking systems are not only expensive, but they can also be complex and difficult to use. This can be especially frustrating if your inventory tracking needs are more on par with a small local storage room than giant warehouses on multiple continents. Good news: flexible cloud-based apps are making it easier to remotely manage stock without breaking the bank. These are five of my favorites that can simplify your inventory tracking needs. Built by Canvus Applications, StockPile is a free (yes, it’s really and truly free) online inventory tracking system designed specifically for small businesses. The Canvus Applications team releases updates every quarter as they add new features and enhancements for daily operation management. Create inventory items (“stock”), assign them a location and quantity, and add/remove stock during a transaction. One potential downside some users have noted: StockPile isn’t great about handling units with decimals since it is built to handle single inventory units (e.g., 500 bags of flour rather than 10.5 kg of flour). But this is a minor complaint about an otherwise solid inventory tracking system. Stockpile pledges to be forever free for unlimited uses, unlimited items, and unlimited locations. If you’re still tracking inventory with spreadsheets, this is a good “starter” inventory tracker app. Take the logistical nightmare out of tracking and auditing inventory supplies with Wasp Barcode Technologies. Their affordable inventory management software system reduces waste and makes inventory control a piece of cake. Built-in features include automated reports for managing inventory and quickly conducting audits. Notify suppliers when levels are low or items are past due. Design your own inventory and shipping labels or choose from more than 100+ pre-designed templates with integrated barcode labeling software. Stop running out of stock, eliminate costly end-of-year inventory write-offs, and increase profitability by getting your products to the consumer faster. JumpTech offers three great cloud and mobile-based inventory management systems. JumpStart, designed originally to assist healthcare providers, offers easy, automated recording of all supply transactions for better supply planning and management. Never lose an inner-office package again with InnerTrack, a smart package workflow tracking system for monitoring pickups, delivers and material transfers that eliminates manual processes and — even better — creates an easy-to-follow electronic audit trail. JumpCart is a streamline procurement platform designed to reduce ordering time and decrease inventory purchase errors. The apps all work with a mobile scanner that sends information instantly to the cloud so everyone’s on the same page about inventory status at all times. With software that’s so interactive it’s almost like having a real-life inventory manager on staff, JumpTech’s solutions are all built to utilize low-cost, cloud computing technology that’s compatible with mobile phones and tablets. This Web and mobile app is built specifically to address the inventory management needs for small and mid-sized businesses. GOIS Pro uses your mobile camera as a barcode scanner to quickly pull up stock information and make on-the-go stock adjustments or transfer inventory from one location to another. The flexible app includes useful features, like the ability to define some products as freebies or gifts, set discounts and manage tax rates. Line up multiple items within one order to be processed partially or at once using the multi-part procurement feature. Real-time synchronization means everyone on your team is working off the same up-to-date inventory data. This simple inventory app covers all the basics without any unnecessary bells and whistles: list your items, sort them into categories, and import/export your inventory lists with CSV files. For precise stock level management, Stock Control allows for basic inventory tracking in multiple storage spaces and includes automatic shortage alerts for each item. The barcode scanner organizes items into groups and subsets. Stock Control includes mobile apps for iOS/Android and a desktop companion version. From mobile barcode scanning to automated alerts, inventory tracking apps are a must for simplifying small business management. Have a favorite that I missed? Share it in the comments below!